More than a century ago, George Bernard Shaw in his famous 1906 play The Doctor’s Dilemma has said “all professions are a conspiracy against laity”. Conspiracies are hatched & executed in groups, albeit the idea is often brainchild of a master kingpin of that group who resembles “suspense boss” of the Bollywood movies. Conspiracies are committed on back of the victim, called laity, common people, in the Bernard Shaw play. Conspiracy here means a method or a design invented & employed by the professionals of a profession for “acquiring prestige & power” to have & hold control over the profession with the objective of banging doors of competition at all those who are not members of the group, also called the non-professionals. Such acquisition of intriguing craft & skill is used, exercised, sold or exchanged for lucrative purposes of money, or position, or possession in return with the buyers & users. These professionals “seldom meet together” but their conversations “end in conspiracies against” others on their back & “the law can do nothing to prevent” such conspiracies. (Adam Smith’s Wealth of Nations first published in 1776 (2007 edition) pages 105-106). In modern age, where physical contacts or meetings among people, professionals, are now dispensed with, as the same have been completely & conveniently replaced by the multiple ways of instant technological communications among them, conspiracies among them grow easily & faster to the detriment of the others, public. For, after all, conspiracies are always secret & behind the curtain. In a highly militarized place like Kashmir where chaotic social, political & economic conditions subsist since decades now, where people in overwhelming numbers continue to be captive of mental slavery of “selfish, intriguing, dishonest, treacherous and fraudulent” nature, ( William Moorcroft, Travels in the Himalayan Provinces, J & K, Vol II, pages 128-129) a fertile ground has been created & afforded to the professional conspirators to acquire & hold control over the expertise & deny it to the non-members of the group but , of course, it has a price , categories whereof are mentioned above, for which it is sold. Iterating, law can do nothing to prevent these malpractices as they are packaged & sold under the specific labels of different professions. The prime object of professional conspiracy is to obtain monopoly over the profession & kill the competition. These professional conspirators in a conflict zone like Kashmir have assumed horrible shapes of criminal cartels against whom the law, however, does not have claws to clutch upon. Moral code is trampled by these white colour criminals under their iron feet. In good numbers they put on religious labels & robes too to hide their criminality & immorality. So far you might have heard of the cartel formation in the businesses only. But cartels in Kashmir are to be found indiscriminately among the so called professionals too; so called for the reason, true professionals never use unfairness & cheating in discharge of their professional duties. Cartelization being crime, so it can’t be reduced, among the group members, into writing or in any other express shape. It can’t be oral even. It is implicitly gatherable from the way the activity is conducted by its members. The sinister design of cartelization is to kill competition & establish monopoly in a business or trade. Precisely, this twin illegitimate objective of the business cartels is what the professional conspirators in Kashmir are doing by making good use of general ignorance of masses & overdependence of the buyers & users on their professional products & services with eyes shut. The professional conspiracies & cartelization inside Kashmir has flourished under the patronage of corrupt system of administration, & inbuilt avaricious nature of Kashmiris to make overnight fortunes is also liable for the ugly mess. 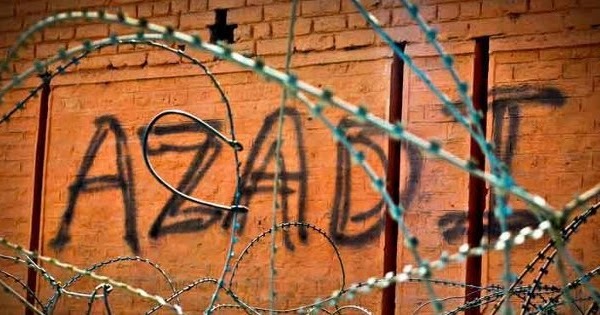 In Kashmir, where near to all energies of the law enforcing agencies are utilised & consumed by the State in quelling the “popular sentiment” of people or the “Kashmir Movement”, an inevitable result of it is that a mushroom growth of conspiracies & cartels in all professions & occupations has taken birth. Coaching centers’ cartels, pharma cartels, doctors’ cartels, engineers’ cartels, contractors’ cartels, revenue officials’ cartels, pressmen’ cartels, so on & so forth. Political parties fighting elections are “party cartels” using resources of the State machinery when in power to maintain & control their “prestige & position” among the masses. With “power” in their hands, they behave like “gangs” during the time of their regimes to suppress the already-oppressed people of Kashmir & “collaborate” in tyranny of Delhi inflicted on their constituencies. These professionals’ cartels are operating under legal certificates under the names of licensed occupations. But license does not change the reality & status of a profession if it is run by thugs under the guise of professionalism inasmuch as a licensed pimp’s nature of activity doesn’t get changed by grant of a license to him as he knows he is carrying on an illicit “profession”. In Kashmir, [several] doctors work as commission agents for pharma companies & medical-test labs, engineers clear contractors ‘bills against pre-fixed rates of commission, teachers set up private coaching centre diverting students away from regular classes & enticing them to buy readymade question-answer-sheets from them, revenue officials in league with land brokers (Dalals/Drals) fudge the land records for illegal conversions & mutations, & where a “top executive” of a “specific organisation” with active support of corrupt sub-executives & bootlicking officers “unashamedly” violates rules in passing of orders of appointments, promotions , etc, it can be safely stated that these are just bizarre instances of professional & occupational cartels operating in the valley. In cartels, non-members can’t get share in illegal proceeds of the crime. As earlier said, monopoly in any profession is detrimental to the competition which, if allowed, certainly brings variety & quality in the professional duties & services. In total absence of private electronic media (Greater Kashmir dated 24-12-2018(Nothing Kashur in DD Kashir), only media left in Kashmir is Press or Newspapers, and barring few specific papers, no other paper, periodical, etc, has any reasonable readership among Kashmiris. If specific media reading & watching in Kashmir will become a cult or mere craze or habit among the people in general without an objective for better, educative, informative & competitive content among the readers, it will prove disastrous for competitive & objective journalism of Kashmir as a whole. The same holds true of a selective group or firm of lawyers who hold monopoly in the profession at the altar of basic professional principles, winking at, aiding & abetment of “wrong practices of corrupt institutions” solely for material gains. Doors to competition in all professions should be encouraged for overall good of posterity of Kashmiris. Lord Macmillan writes: “If no profession is nobler in its right exercise, so no profession can be baser in its abuse”. (Lord Macmillan, Law & Other Things (1937) page 185) This is exactly what is happening with all professional conspiracies & cartels inside Kashmir. It is grossest perversion. Right exercise of a profession in its kind is the noblest & most beneficial to the people, while its abuse & misuse, for personal temporal gains, grudges, prejudices & preconceived notions, is most sordid & pernicious. “In a time of universal deceit, telling the truth is a revolutionary act”, George Orwell. M J Aslam is : Author, academic, story-teller & freelance columnist. Presently, AVP, J&K Bank. Note: Views personal, not of the organisation the author works for.